For children aged 3 and 4 years old, VINCI Junior Casa program leverages Montessori teaching materials, in combination with Reggio style Creative Learning Centers to instill both basic skills and creativity. VINCI 4-step Pedagogy empowers the preschoolers for self-initiated inquiry and investigation, with core skills learned during the process. All students are expected to master letters and numbers by the end of this program, and have built their self-awareness and confidence to go on for Kindergarten and Elementary. Multi-sensorial experience is the key to children’s learning. The teacher is there to support children’s inquiry, to keep them on track, and to enforce values such as self-respect and being considerate. 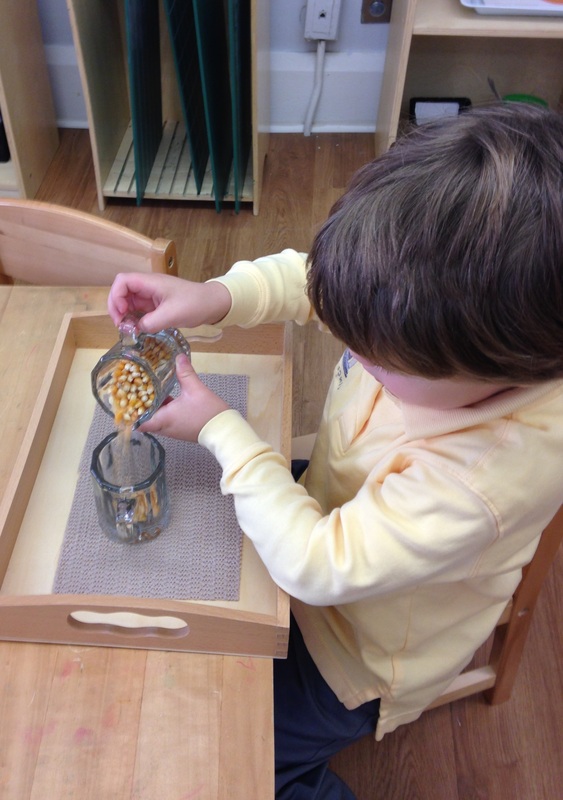 Students continue to exercise their fine motor skills, eye-hand and hand-hand coordination, and practice their focus, using Montessori Practical Life Sets such as clothing frames, pouring, squeezing etc. Every day, students follow VINCI leveled books for their weekly theme. A research based and fun collection of 60 little books serves as conversation starter for learning Comprehension and Expressive Language skills. Montessori materials such as sandpaper letters come to enrich the learning. 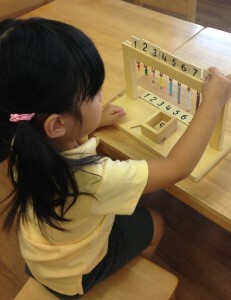 3-4 years old is a period sensitive to numeracy. At VINCI preschool program, students practice everyday for puzzles, matching, sorting, categorizing, and counting. Knowing that rote counting to 10 or 20 may not mean much from logic reasoning point of view, VINCI program focuses students on analytical skills and problem solving. Inter-connecting with Language and Math, VINCI School Science program for preschoolers include weather, space, animals, plants and how humans function. Students leverage seasons and holidays around the world to gain understanding of the planet they live in. As self-control and independence are such important topics for preschoolers, every day during dedicated group learning time, students learn about themselves through the understanding of emotions and socially acceptable behaviors. They gain skills for sharing, taking care of each other, and conflict-solving by working in small groups. Creativity is a habit, and it starts from early in life. When children are inspired and encouraged, their natural creativity remains live, and serves them for their future work and life. VINCI School art-infused program encourages preschoolers try hard, experiment, and gain sense of accomplishment. 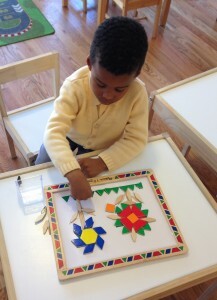 The activities may include pretend-play, art creation, or story-telling, which inter-connects with Math and Language. Copyright © 2013-2018 VINCIAcademy.org. All Rights Reserved.